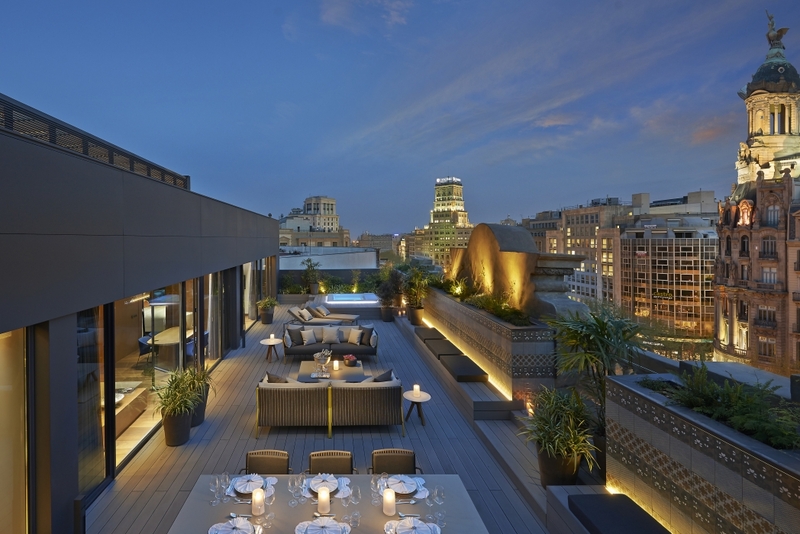 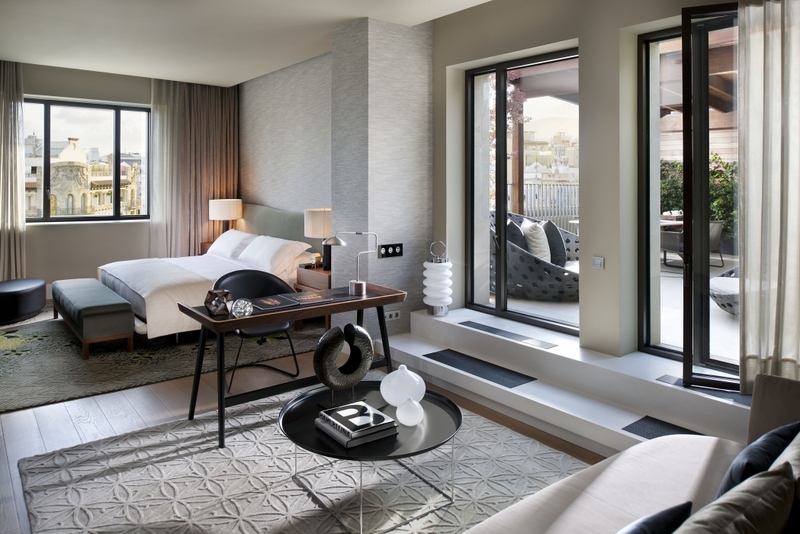 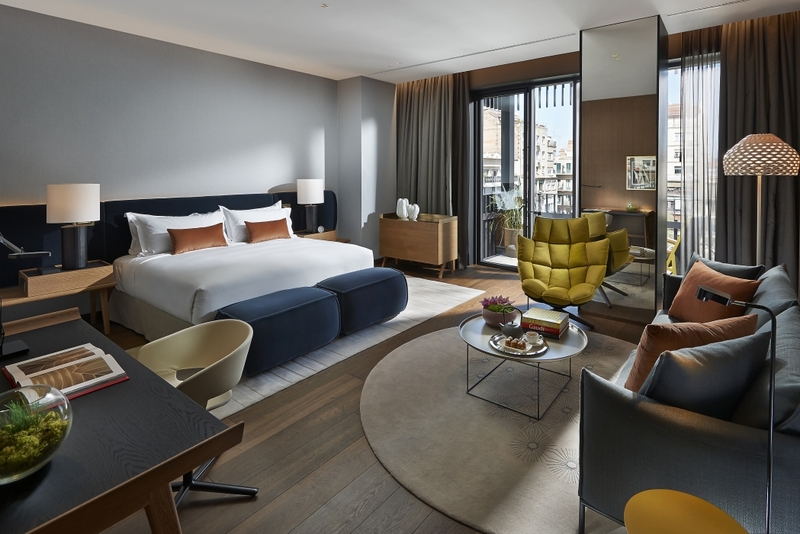 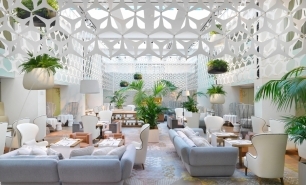 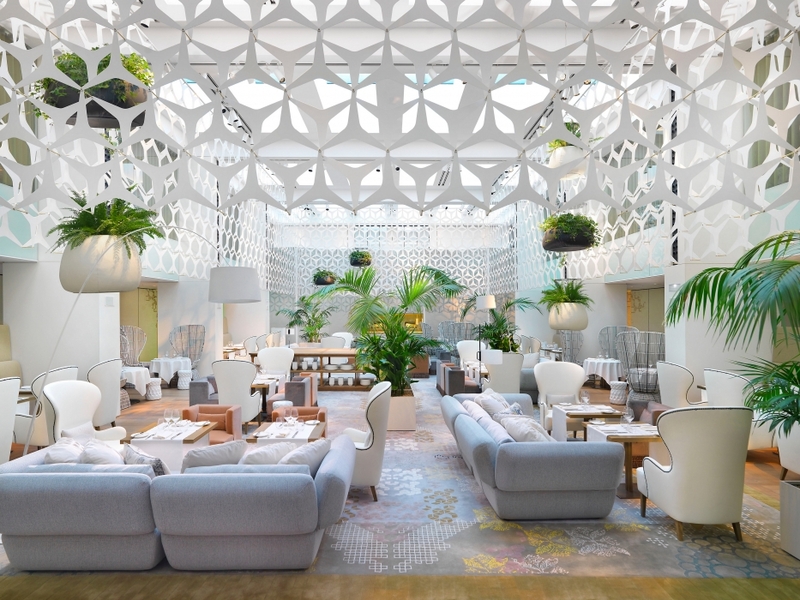 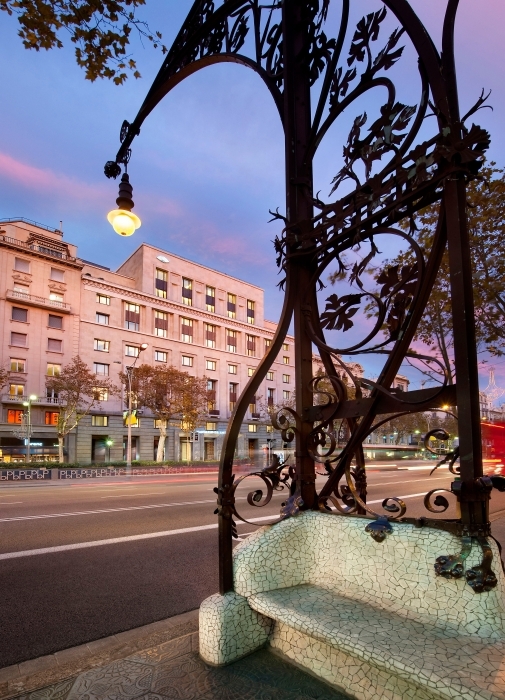 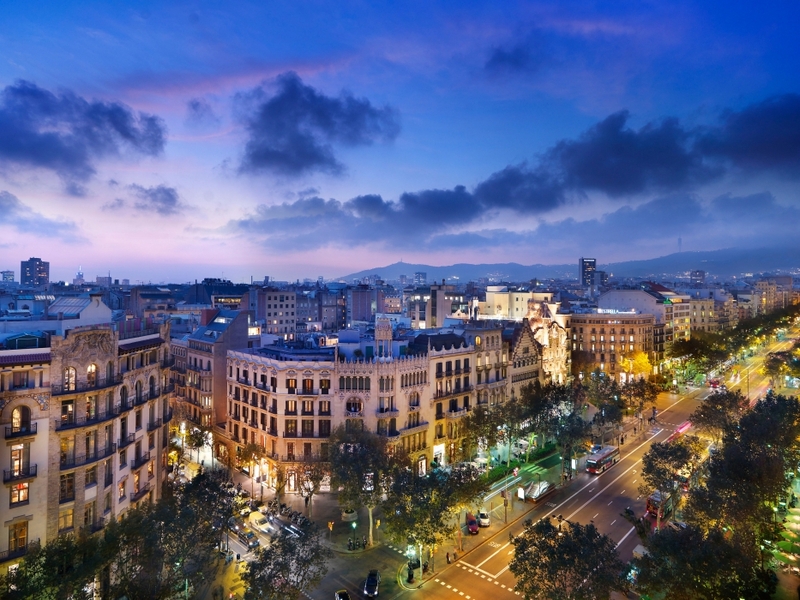 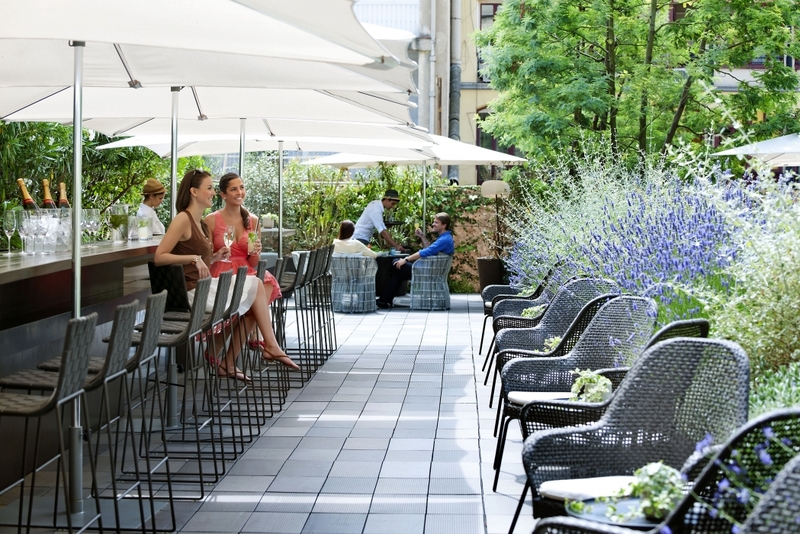 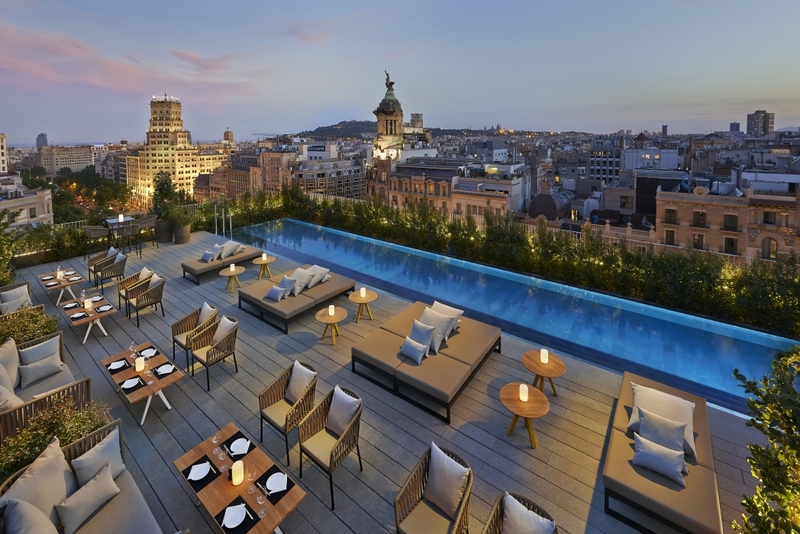 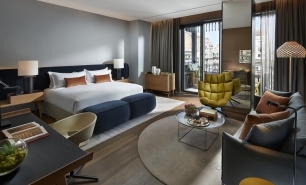 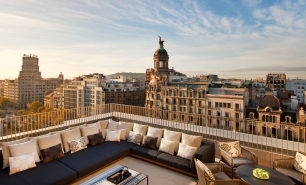 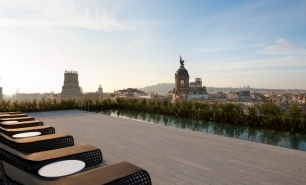 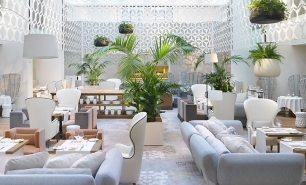 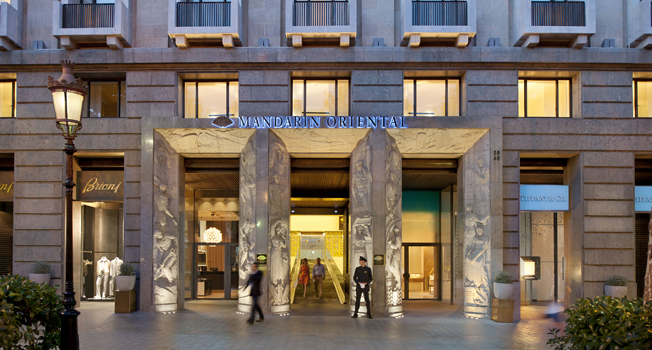 The Mandarin Oriental is located on the prestigious Passeig de Gràcia close to Barcelona’s major attractions including Gaudi’s Casa Batlló, Las Ramblas, and the Gothic Quarter. 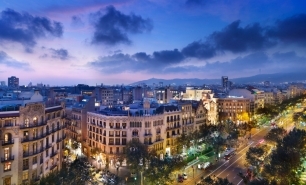 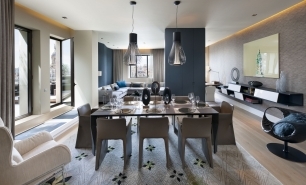 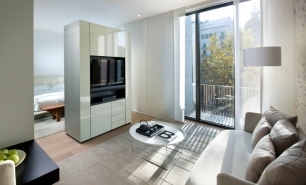 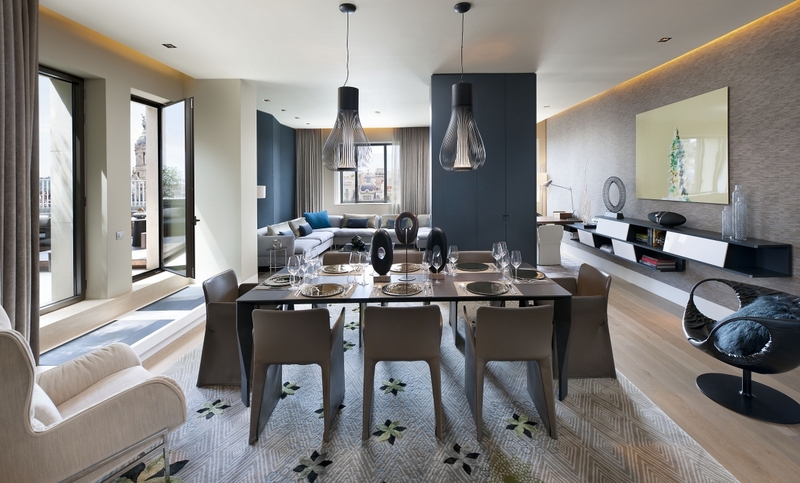 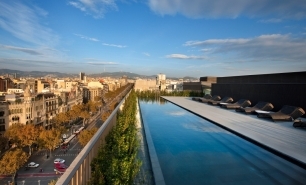 It is close to the city's business district as well as Barcelona's major shopping, dining and cultural venues. 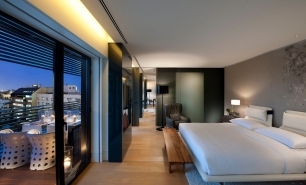 The waterfront, home to the city's 1992 Olympic Games is 10 minutes away by taxi. 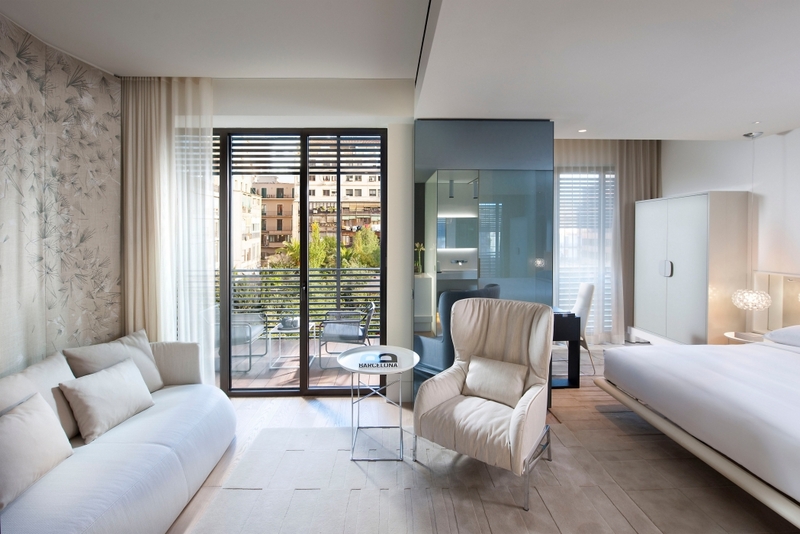 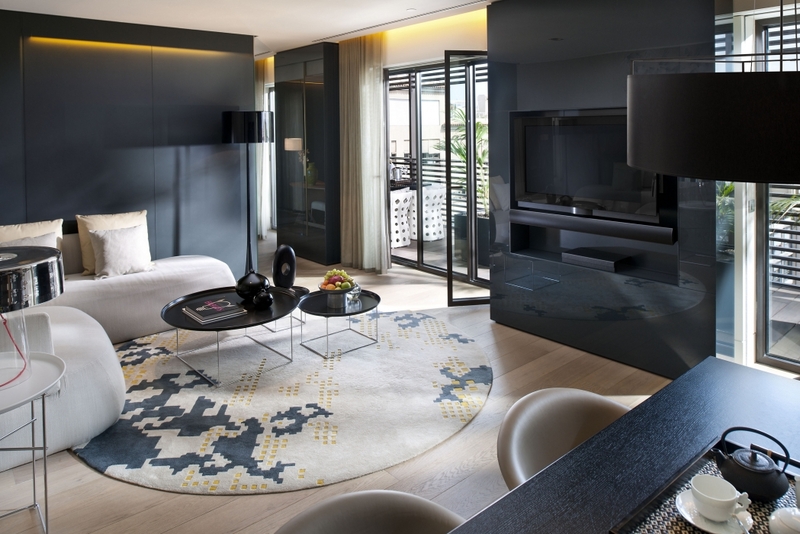 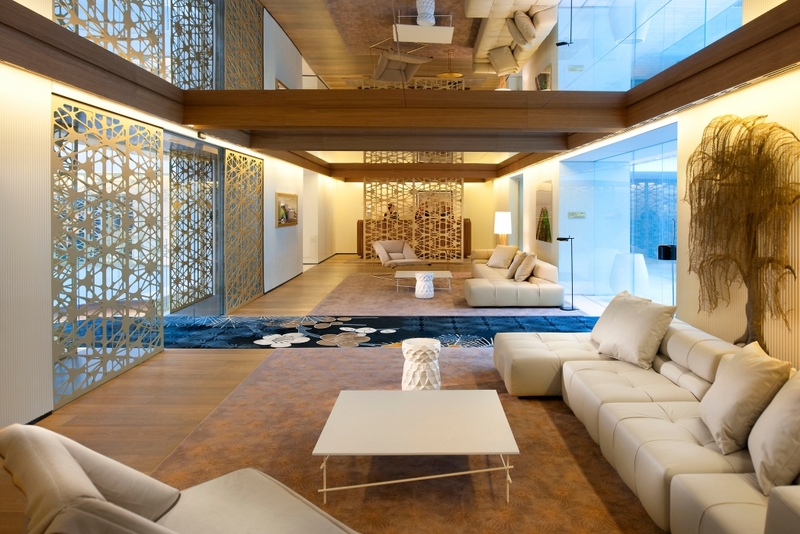 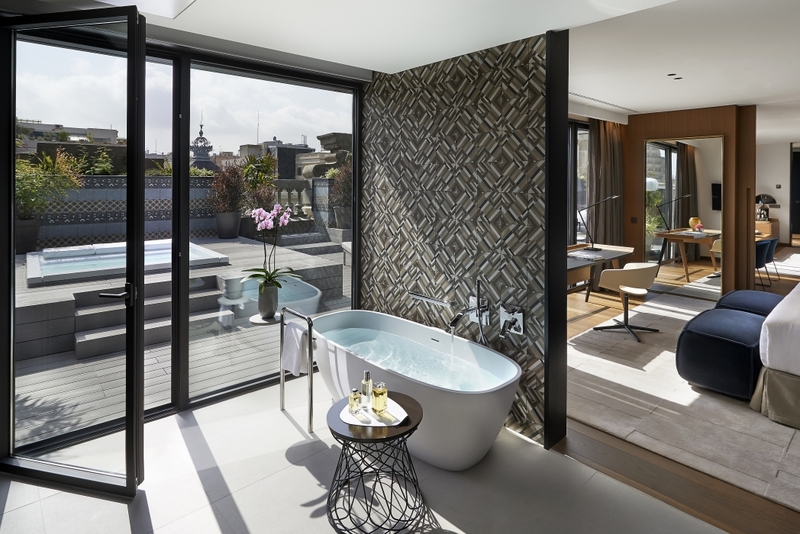 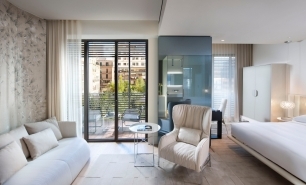 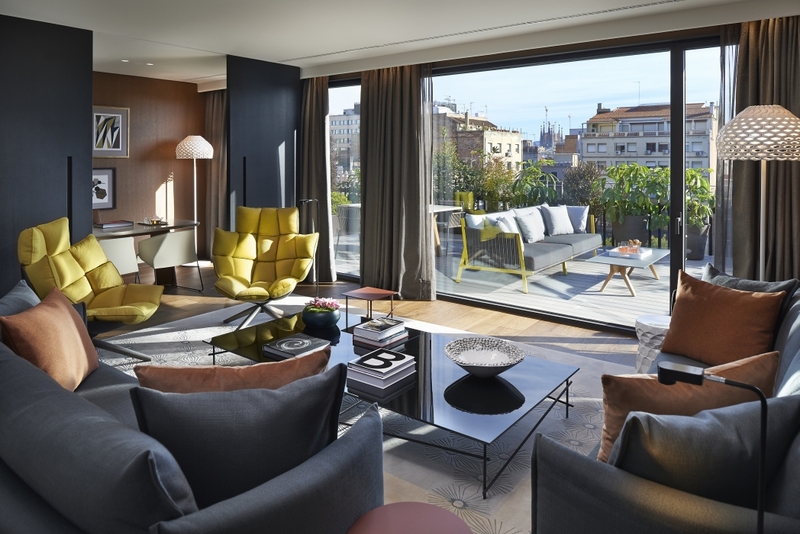 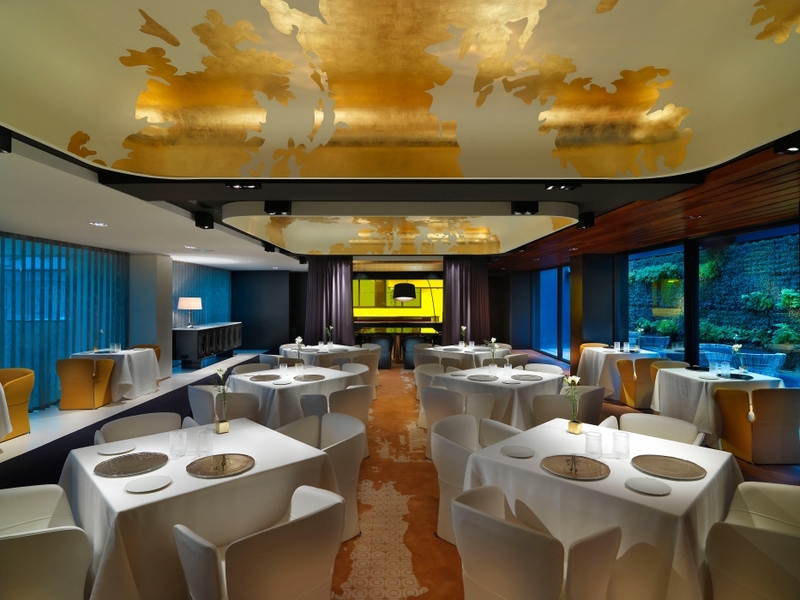 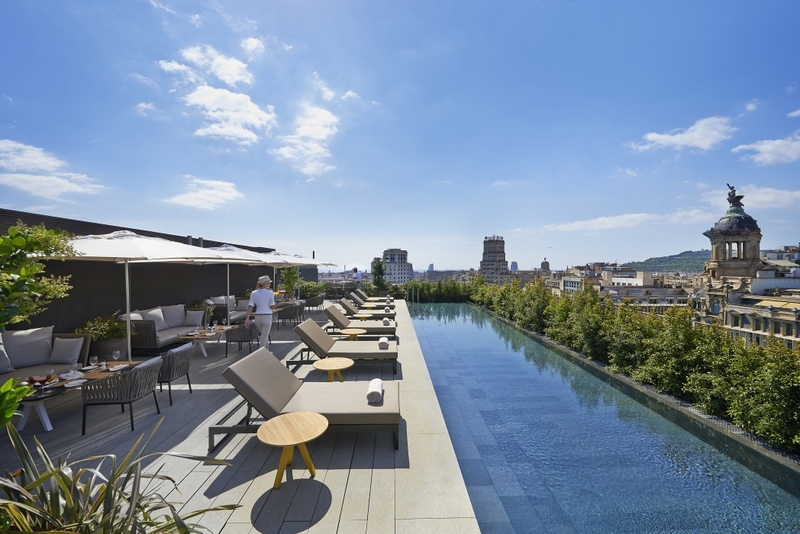 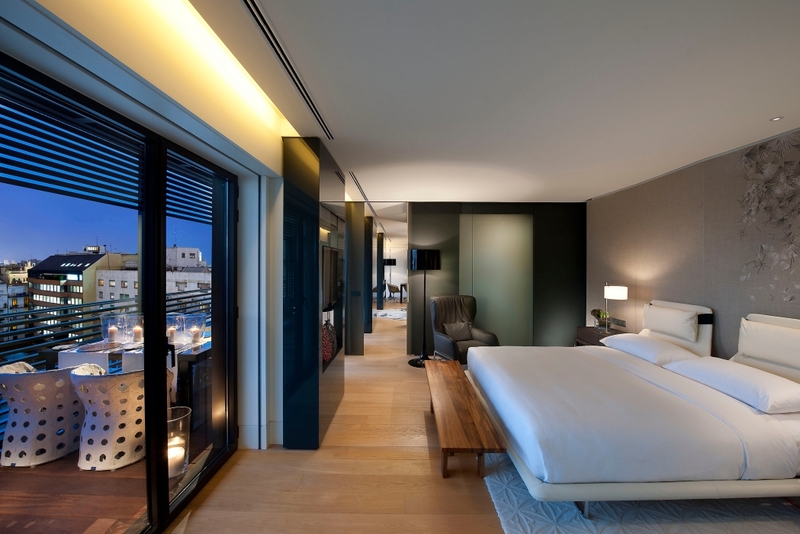 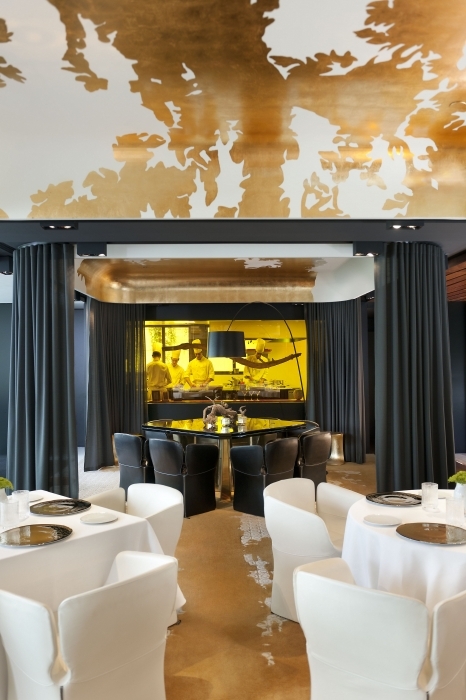 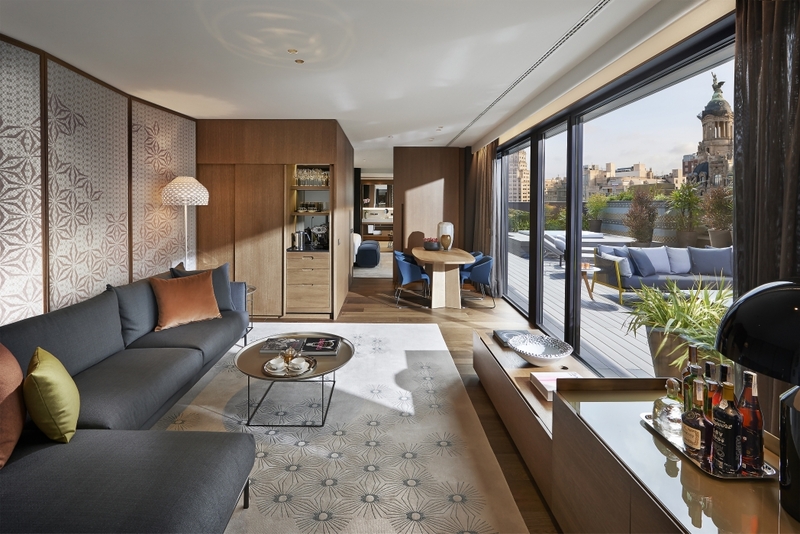 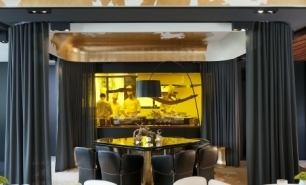 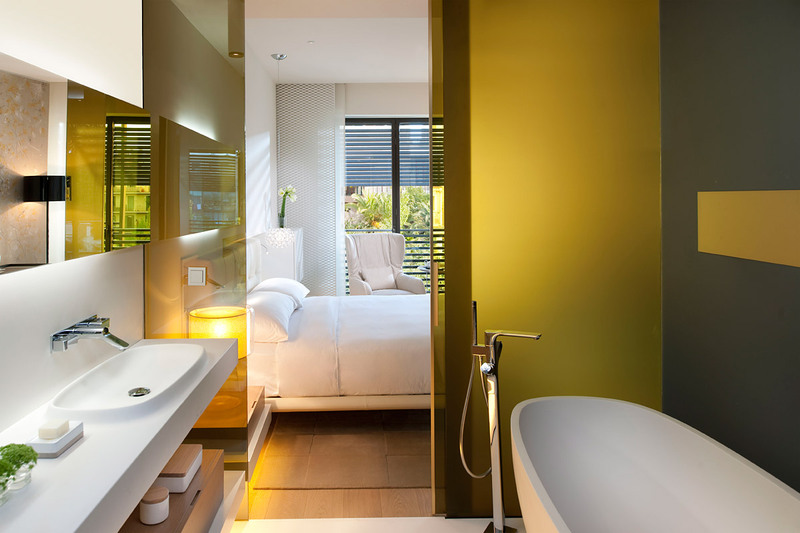 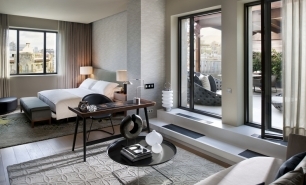 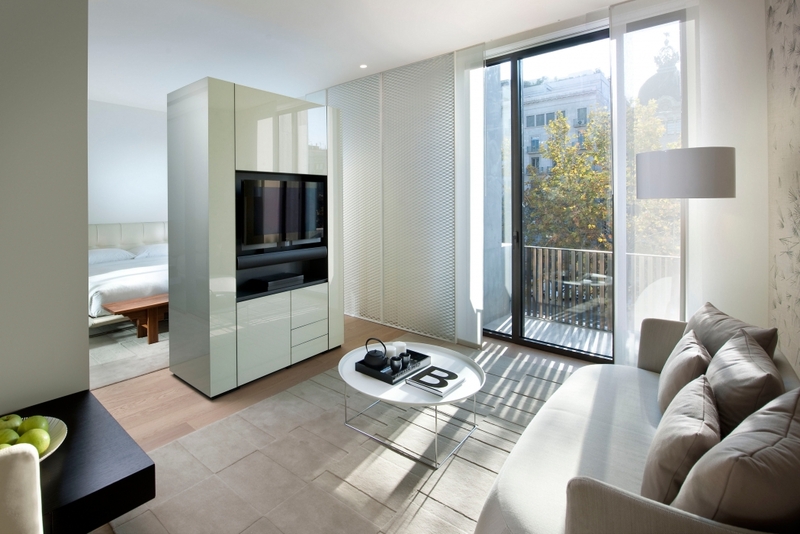 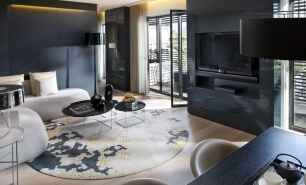 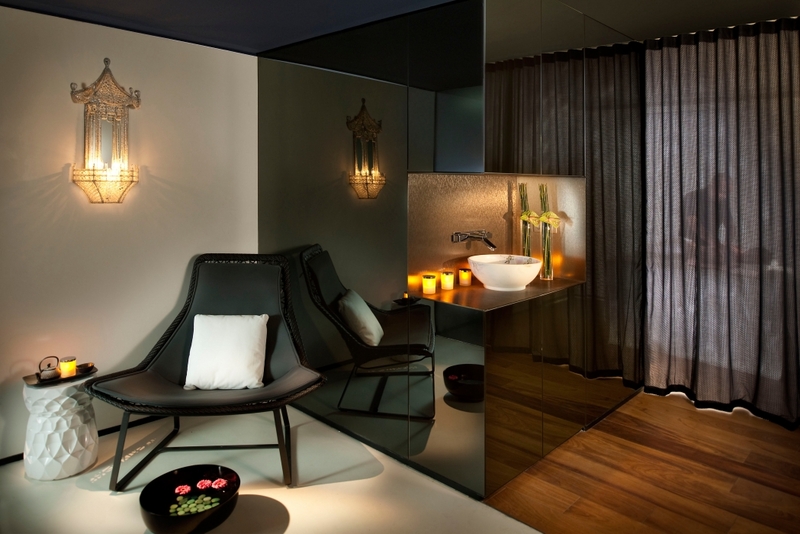 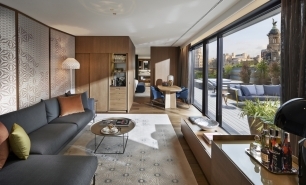 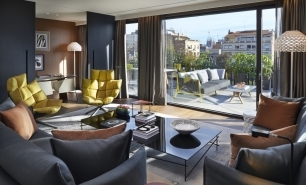 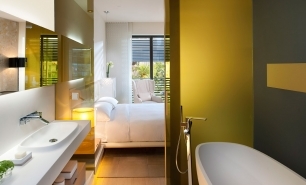 The hotel’s 88 minimalist designed rooms (32-36sqm) and 10 suites (53-88sqm) including the Presidential Suite (236sqm) are among the most luxurious and peaceful in Barcelona. 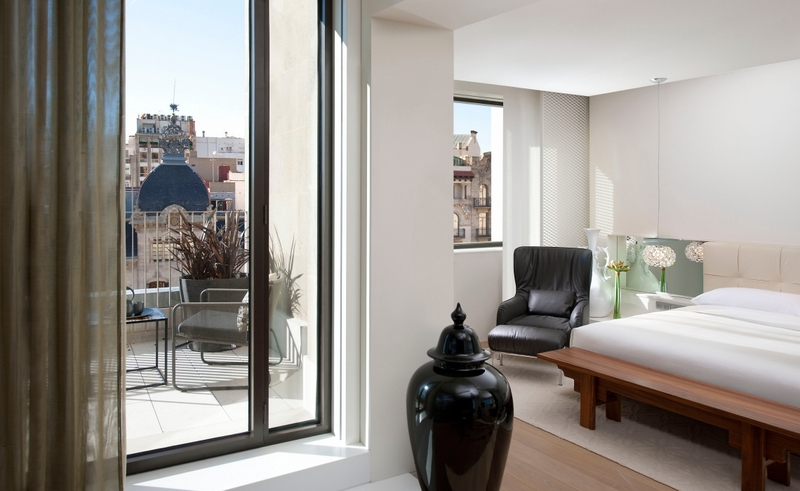 Some of the rooms have private balconies overlooking the Passeig de Gràcia and others, the hotel’s attractive landscaped garden. 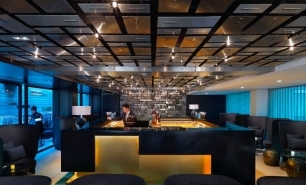 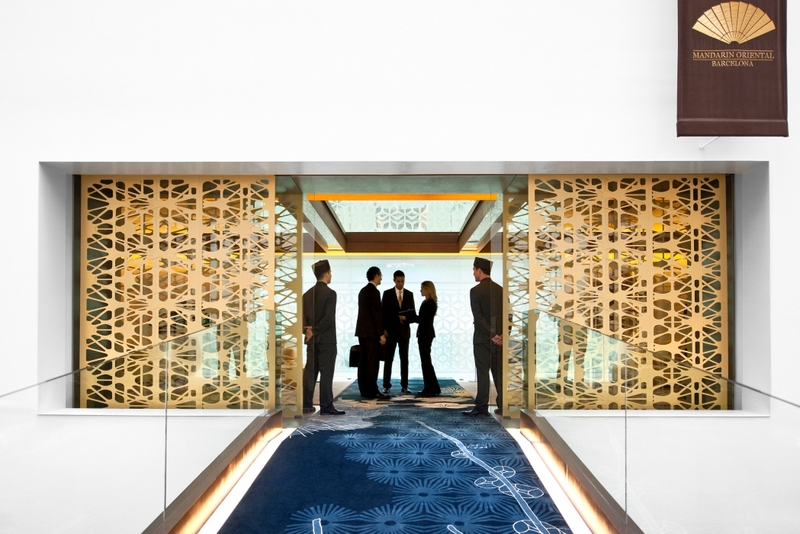 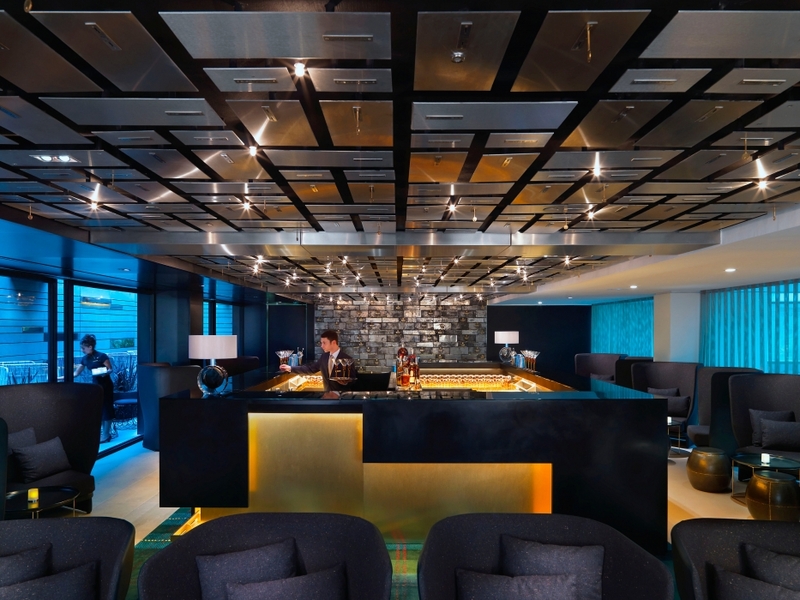 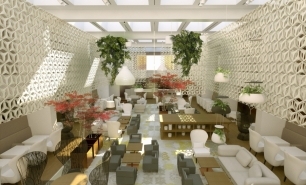 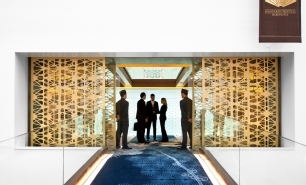 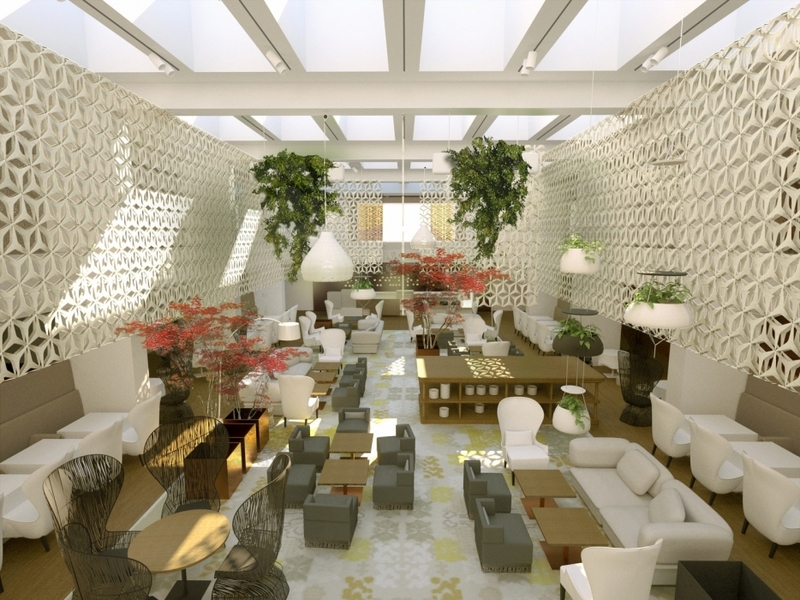 The hotel's ultra-modern atrium and reception are particularly impressive and beautifully designed. 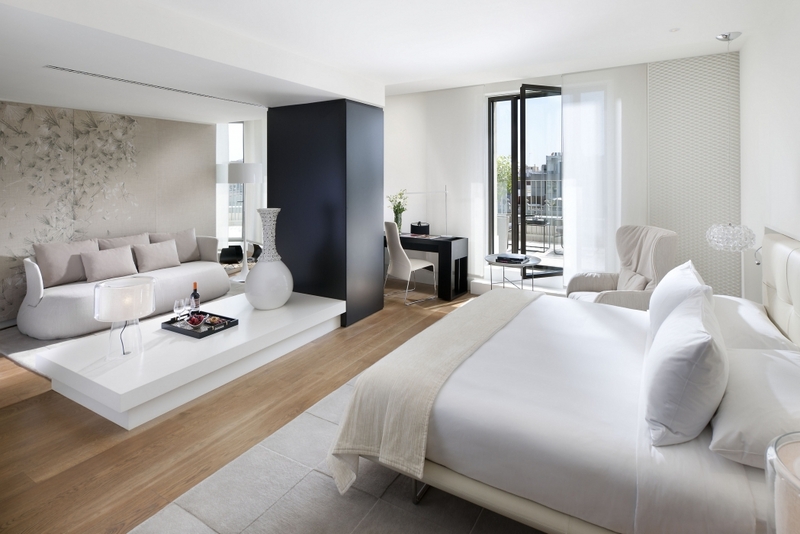 In April 2014, five rooms and 17 suites were added when the hotel was expanded into a building next door. 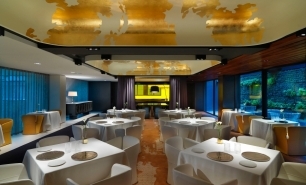 The dining venues include the Michelin-starred Moments restaurant featuring innovative cuisine by world-famous Catalan chef Carme Ruscalleda, Mimosa restaurant offering excellent al fresco dining and located in the hotel’s garden, the Blanc Brasserie & Gastrobar serving tapas, dim sum and sushi, and the Banker’s Bar, the name a nod to the building's former function as a bank, serving cocktails and tapas. 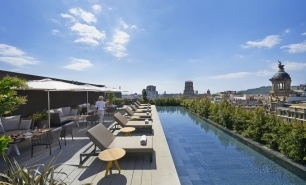 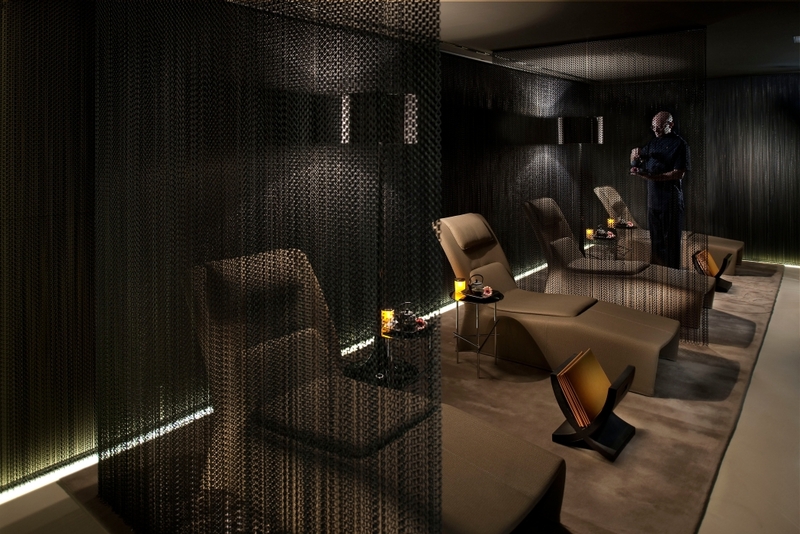 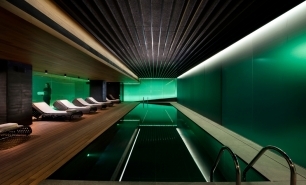 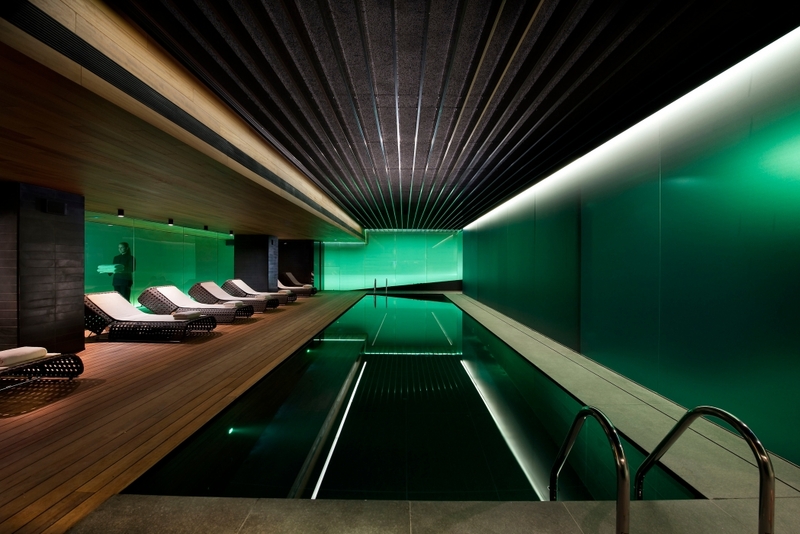 The hotel boasts a spa with 8 treatment rooms, a 12-metre indoor lap pool, an outdoor rooftop pool open in the spring and summer, and a fully-equipped fitness centre. 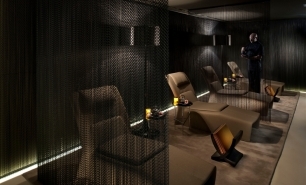 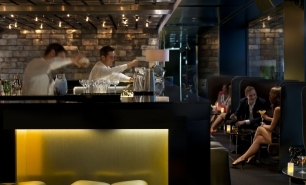 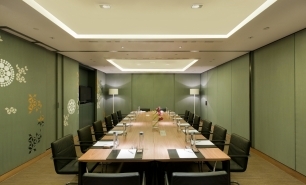 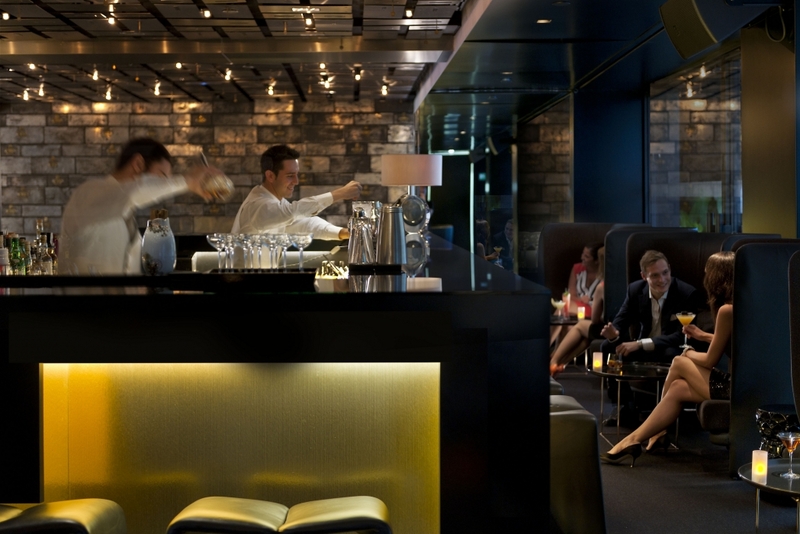 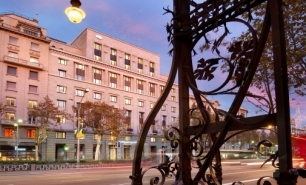 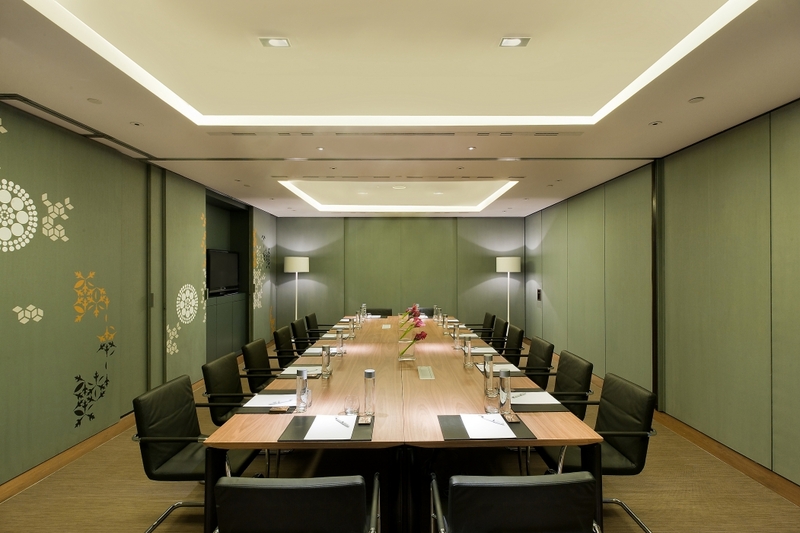 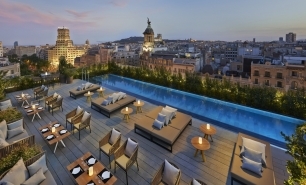 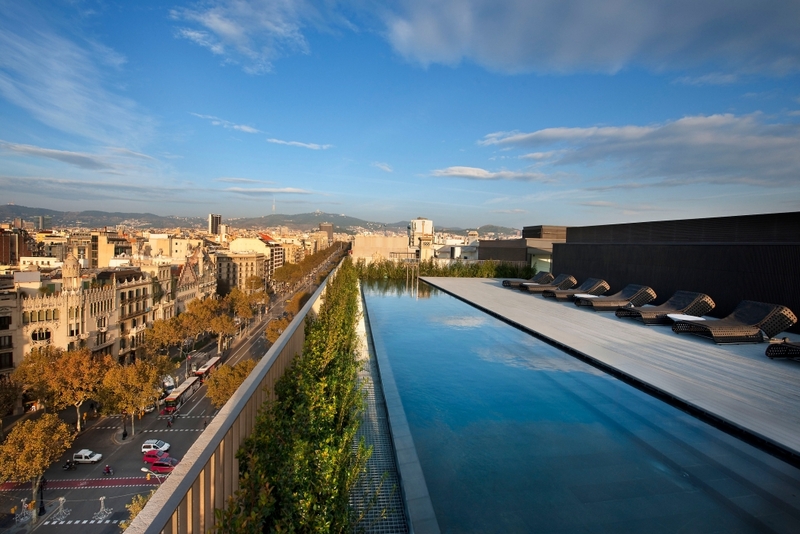 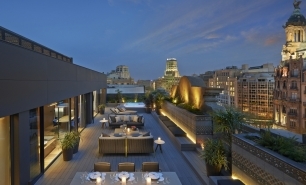 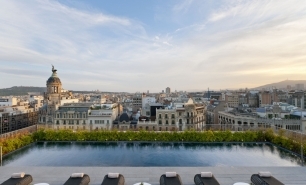 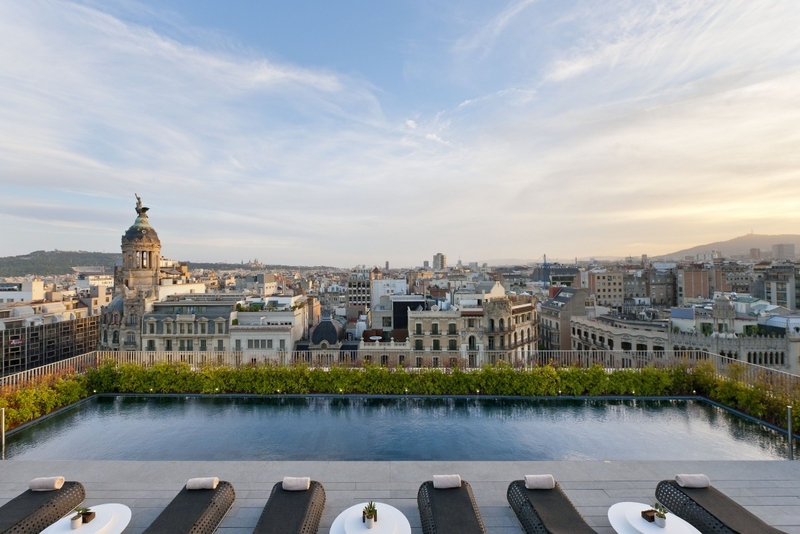 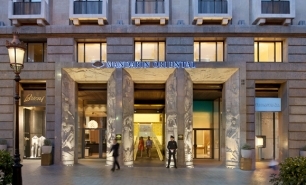 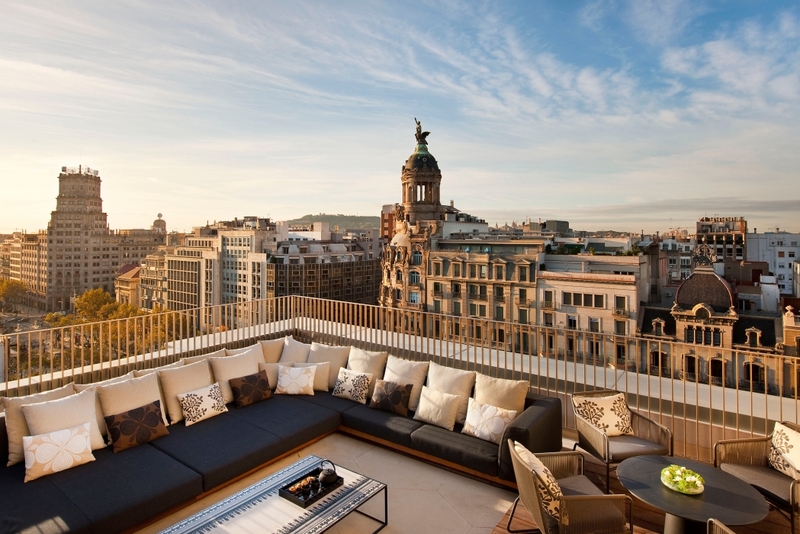 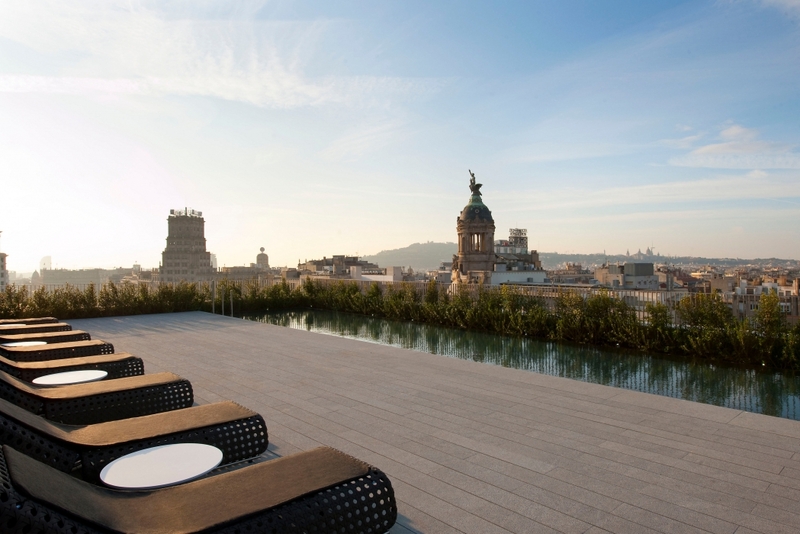 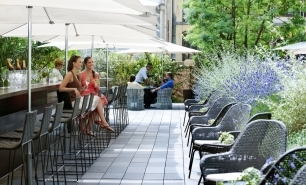 The Mandarin Oriental is 30 minutes by car from Barcelona International Airport (BCN).